AGT is excited to provide our customers with T1V interactive solutions and to support theirs with our A/V design, integration and managed services expertise. Applied Global Technologies (AGT), a full-service audio visual (A/V) integrator that designs, installs and manages collaboration environments, today announces its partnership with T1V – a leading provider of interactive touchscreen technology. Together the companies will deliver interactive touchscreen display solutions, along with A/V design, integration and management services, to improve the way organizations communicate and collaborate. AGT will act as an official reseller and distributor of T1V interactive technology – including the company’s suite of collaboration software offerings which are designed to help drive innovation and business success – in Georgia, Florida, Colorado and beyond. T1V technology is powered by patented multitouch, multiuser software that transforms public spaces into more dynamic environments and delivers large-scale interactive experiences – its core products include interactive tables, digital signage, interactive walls and software applications. 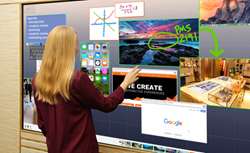 ThinkHub – T1V’s multiuser software which transforms traditional meetings into more proactive, effective sessions, is among its most popular applications. The company’s suite of standard software applications, such as Interactive Timeline and Interactive Map, can be customized to align with a customer’s brand identity. In this capacity, the customer is able to design their interactive solution at an affordable price point. T1V has the flexibility to scale its solutions from single-panel to multipanel, and can work within standard or custom frameworks. The company supports its customers from its headquarters in Charlotte, North Carolina. As T1V’s integration partner, AGT’s team of certified and experienced A/V experts can successfully design, integrate and manage collaboration environments – whether it is briefing centers, board rooms, small huddle spaces, intuitive classrooms or state-of-the-art training facilities – with T1V interactive technology, enabling customers to experience the immersive world of touchscreen collaboration. To learn more about AGT’s services and solutions, please visit http://www.appliedglobal.com/services/. To learn more about T1V’s suite of interactive touchscreen technologies, please visit their website. AGT is a full-service audio visual integrator that designs, installs and manages collaboration environments. We help corporations, government entities and educational institutions with audio visual design and integration, video conferencing and managed services. AGT has improved the way organizations communicate and collaborate for over 20 years. For more information, visit http://www.appliedglobal.com or follow AGT at @agt_video. T1V creates interactive touchscreen experiences. 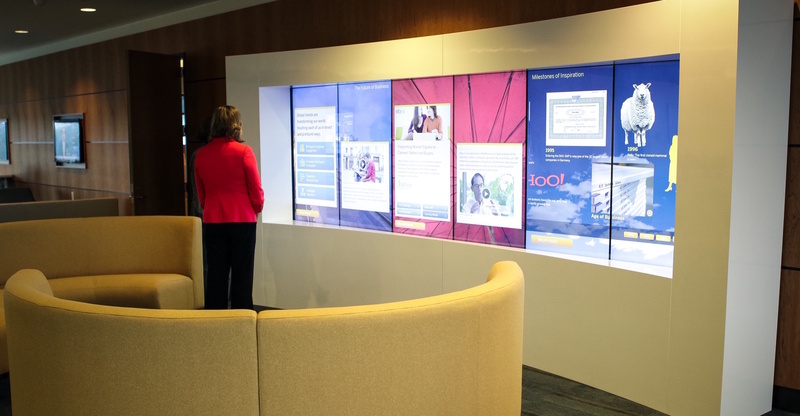 Deliberately large in size and incredibly durable, our Interactive Platform includes tables and walls, digital signage, and mobile apps. Our products are powered by patented multitouch, multiuser software that transforms public spaces into more dynamic environments. The T1V team is made up of design, engineering, business and technology minds alike - resulting in unrivaled support to our customers from start to finish. Based in Charlotte, NC, T1V works with retail, events and exhibits, enterprise, hospitality, and education markets around the globe. The company is recognized as one of Charlotte’s Fast 50 by the Charlotte Business Journal and was named to the 2014 and 2015 Inc. 500 | 5000 by Inc. magazine. Visit http://www.t1v.com to learn more about our products and how we can work with you and your industry.